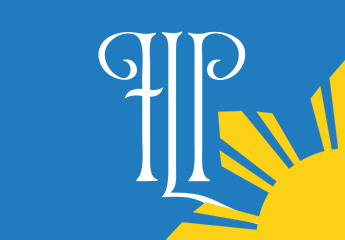 The Foundation for Liberty and Prosperity (FLP), in cooperation with the Philippine Association of Law Schools, is sponsoring ten scholarships and a dissertation contest for the school year 2016-2017. Co-sponsored by the Tan Yan Kee Foundation, the FLP Scholarship Program aims to reward the best and the brightest law students who believe in the vision, mission, values and legal philosophy of the FLP. Co-sponsored by the Ayala Group, the FLP Dissertation Contest will choose the thesis/dissertation (or its equivalent in law schools not offering the Juris Doctor program) that best explains and espouses FLP’s philosophy of liberty and prosperity under the rule of law. The Foundation was formally and publicly launched on the 75th Birthday Celebrations of the retired Chief Justice, during which an original musicale titled “Ageless Passion” was staged at the Meralco Theater in Pasig City on December 20, 2011. Joining Chief Justice Panganiban in FLP’s Board of Trustees are his wife Elenita C. Panganiban, retired Chief Justice Hilario G. Davide Jr., Washington Z. Sycip, Edilberto C. De Jesus, Jennifer J. Manalili, Maria Elena P. Yaptangco, Maria Theresa P. Mañalac, and Joel Emerson J. Gregorio. The Foundation’s VISION is a society that fully appreciates the necessity of “Liberty & Prosperity” and their essential interdependence and mutual inclusiveness. The Foundation’s MISSION is to educate the people, especially the members of the judicial and legal profession, on this fundamental and essential inter- relation between liberty and prosperity by supporting projects aimed at promoting, developing, assisting and protecting liberty and prosperity under the rule of law.